1TV: Afghanistan Cricket Board on Sunday announced ODI and T20 squads for their series against Zimbabwe in Sharjah in February. The tour begins with two 20-over games on February 5 and 6 before moving into the 50-over matches scheduled to take place between February 9 and 19. 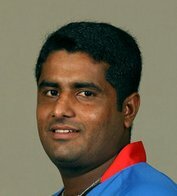 The matches will also include Mohammad Shahzad after one year ICC suspension for taking banned substance. Click here to read more (external link).